Dr Nicolas Rojas is a Lecturer in the Dyson School of Design Engineering at Imperial College London, where he leads the REDS Lab. 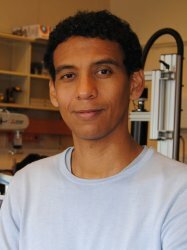 His research focuses on the analysis, design, and implementation of novel, divergent robotic systems that can purposefully perform physical changes to the world around us under diversity and uncertainty. Dr Rojas is interested in both gross and fine manipulation with the long-term goal of creating robots from scratch that surpass the manipulation capabilities observed in humans and other animals in all conditions. Before joining Imperial, Dr Rojas was a Lecturer in Mechatronics in the Department of Engineering and Design at the University of Sussex, a Postdoctoral Associate in the GRAB Lab, Department of Mechanical Engineering and Materials Science at Yale University, and a Postdoctoral Research Fellow in the SUTD-MIT International Design Centre at the Singapore University of Technology and Design. He has also experience in the corporate sector as Business Development Manager, Branch Manager, and Project Engineer in industrial automation companies. Dr Rojas is originally from Colombia where he earned his undergraduate degree in Electronics Engineering at Javeriana University and his master’s degree in Industrial Engineering at the University of Los Andes. He obtained his PhD in Robotics with the Institute of Robotics and Industrial Informatics at the Polytechnic University of Catalonia.